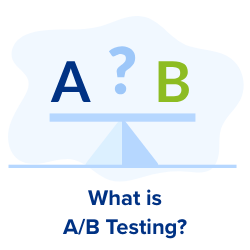 An A/B Testing Tool allows you to perform A/B tests, A/B/n tests and Multivariate tests on your website. Significance is measured against the probability of a Null Hypothesis, and the industry convention is to target 95% probability of representativeness. All three options provide an effective way to optimize your site. However, learning to use an A/B testing tool is an excellent long-term investment, as it allows your marketing team to make informed decisions. In this post, we outline the questions you need to ask to find the best A/B testing tool for your business. What is the skill level of my team? What technical resources will be required? What skills will be required to use the software? What volume is needed to run a test? How long will each test take, and how often should we run them? Will the tool slow my site down? Do I need to hire a CRO agency? How much will the tool cost over a 12 month period? What other tools will be needed? An A/B test uses a single URL and directs traffic to competing versions of a webpage (A and B). A split test also compares two versions of a page (A and B) but they are assigned different URLs. Traffic is redirected to one URL or the other. A/B/n testing uses a single URL but several versions of the page are tested independently. In multivariate tests, several versions of a page are created with a single URL, and the variations are tried in combination. Most software will allow you to perform A/B, split and A/B/n testing. Some executive tools, designed for sites with exceptionally high volume (hundreds of thousands of visitors a month), allow for multivariate tests. The best A/B testing tools combine intuitive design, powerful testing and clear results. 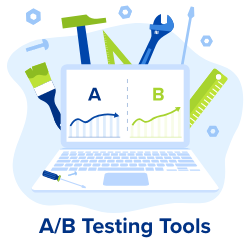 So, what is the best A/B testing tool in 2019? This is a question that comes up regularly and the answer is … it depends! Seriously, by far the most important thing to know is what questions to ask before deciding on a solution. 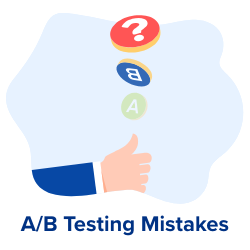 Rest assured, by the end of this article, you will be much closer to choosing the best A/B testing tool for your business. But, just incase you are feeling impatient, here is a Top Tip to begin with: Having more features does not mean you will achieve better results. Simple A/B Testing Tool used alongside a robust testing strategy can increase your conversion rates just as effectively. The bonus is, choosing the right package could save you a huge amount of money. Use this checklist to help you choose the best A/B testing tool for your business. Spending a bit of time discussing these questions with your marketing team could save you time and money later. 1. What is the skill level of my team? Does your team have front-end development skills? Do you have the programming knowledge for writing complex tests? Not every business has these resources, let alone every marketing team. In that case, you will want to choose intelligent A/B testing tool that allows you to edit your pages without coding. A number of simple testing platforms feature a WYSIWYG (what-you-see-is-what-you-get) page editing tool. With one of these options, any member of you marketing team can edit and test webpages. Does your team have experience with statistical analysis? Again, this is by no means a given. In fact, even experienced statisticians can find themselves stumped by the knotty problems thrown up by A/B testing. If you don’t feel like wading through raw data and agonising over the significance of your results, you need a tool that will do this for you. 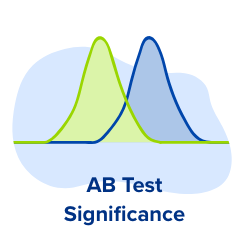 Most A/B testing tool come with built-in statistical analysis, but they often apply quite different approaches to statistics. Consider this: choosing a tool with a less sophisticated statistical calculator could extend the length of your test by days. 2. What technical resources will be required? Now that you have evaluated your team, let’s take a look at the technical requirements of the tool you are considering. Is it easy to install, or will you need to get your IT department to manage the set-up? ​​”More features” often translates as “Harder to use”, and advanced options often come at the expense of User Experience. Your main goal is to increase your conversion rate, not spend hours of frustration mastering a new tool. Any A/B testing tool that helps you to achieve this has done its job. Be careful to consider the complexity of the software you choose, so that you do not also increase the resources you are obliged to invest. Reducing the learning curve from the start of your optimization program is one of the keys to success. 3. What skills will be required to use the software? Technical resources are one thing, but your team’s analytical skills (both quantitative and qualitative) may also be required during an optimization program. Research: Before starting a test, it is important to study the website analytics. In addition, customer journey analytics will help you to build up a sense of how visitors use your site. You may want to supplement this with tools such as heatmaps or exit surveys. Is your marketing team equipped to interpret website analytics? Hypothesis: How do you decide what to test? The analytics will tell you where a problem is, but it won’t tell you how to fix it. Does your team have a good understanding of consumer behaviour? Designing a Test: This might be as simple as a drag-and-drop interface, or it might require advanced coding skills. You need to be comfortable choosing between different types of test, and settling on a threshold for statistical significance. Experiment: Before your test is started, you must decide on the percentage of traffic to allocate to each variation. By default, 50% of traffic is sent to the original page (the control version) and 50% to the variation. You can leave the traffic allocation at 50/50 for the duration of the test, but then you risk directing half your traffic to a less effective page. Another strategy is to try to maximize your earnings during the test by allocating more traffic to the best variation. But what percentage do you allocate? and when? Analysis: To identify the winning variant, you must first consider which version of the page has the highest conversion rate. However, this could easily be the result of chance. So how do you know whether you can trust the conclusions that your results suggest? Statistical knowledge is essential to making these judgements. Is your team equipped to interpret the “statistical significance” of the test, understand the “p value”, decide when a test has gathered enough results? Your choice of A/B testing tool should reflect the answers to these questions. 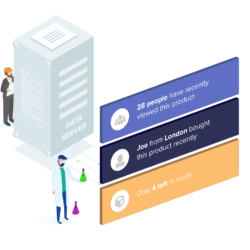 A lack of statistical experience or CRO know-how is not a barrier to performing effective tests, but it does mean you will need a user-friendly tool. 4. What Level of Support is Available? Perhaps you are worried that purchasing A/B testing tool is a gamble for your business? It might not produce any reliable results and, worse still, your team may struggle to use it. In this case, it is important to know what sort of support is provided with your chosen tool. You should also think about whether your team will need access to CRO experts to help guide the process. Beware, for example, of the phrase “dedicated support”. When A/B testing providers use this phrase, they usually mean that a customer service professional (with no experience of website testing or CRO) is on the other end of the line. The consultant will simply search their documentation and copy-paste the relevant section. It is rare to find customer support provided by real experts. However, if you are able to discuss your project with CRO specialists, you are likely to conduct more effective tests and produce more reliable results. Giving your marketing team this option can turn this kind of tool from a gamble into a safe bet. 5. What volume is needed to run a test? Answering this question requires you to consider whether your ambitions match the traffic attracted to your website. Again, it is all about statistics. In a previous article, we suggested that software packages allowing for 5,000 visitors a month are useless! Our reason for saying this is simple: achieving statistically significant results requires a noticeable effect and a large sample size. A minimum volume of visitors is required to perform an A/B test with reliable results. If your site has less than 10,000 visitors a month, it will be difficult for you to do A/B testing or split testing, regardless of which tool you choose. 6. How long should each test take, and how often should we run them? The “fast food” approach is surprisingly common, despite the fact that it comes with a serious health warning. Testing your site the “fast food” way involves under-cooked theories about how to improve a site, hastily assembled tests, and deep-fried statistics. The “forensic” method is the only way to produce reliable results. However, the truth is, it takes time to fully understand your site. We outlined the various stages of a website testing strategy in Question 3. In reality, the testing process involves many more stages. You may have to conduct several hours of analysis before launching an A/B test or split test (you will need to base your hypotheses on solid data). Management – This will depend on the volume of visitors on the page tested, the number of conversions and the size of the effect your variation produces. If you manage your test in manual mode, you will have to regularly monitor your test. 7. Will the software slow down my site? Businesses, and especially eCommerce businesses, should take page loading speed seriously. Not only does it affect your conversions, it can even harm your search engine ranking. There are two ways that A/B testing tools load edited pages: Server Side and Client Side. To understand how an A/B testing tool might affect your site’s speed, it is worth considering the differences between the two. Server-side testing solutions – such as Adobe Target – are more robust, run faster and are more secure. Unfortunately, they are also much more expensive and more complicated to install. Which approach is best? And will testing slow down my site? Neither option is without its drawbacks, but some A/B testing tool packages have features designed to minimise the impact of testing on your site’s speed. 8. Do I need to hire a CRO agency? We began the article by outlining the three options available for companies considering a CRO program. If the first 7 questions on our list have brought you out in a cold sweat, it might be worth considering the option of hiring a CRO agency. A conversion rate optimization agency will manage your program from A to Z, and may even provide some CRO training to members of your team. If this sounds like the best option for you, be sure to consider this alternative list of 21 questions to ask before hiring a CRO agency. If the first 7 questions in our list have only increased your curiosity, then you are probably more suited to the self-service option. 9. How much will the tool cost over a 12-month period? By now, you have made an inventory of your resources and your needs. The next step is to explore a list of the A/B testing tools available. Once you have compared the available software and discarded the unsuitable options, you can pre-select 5 of the most appropriate testing tools. Then you will be able to compare the prices of monthly and annual subscriptions. Remember to add the cost of client support (which some packages do not include). Additionally, consider the cost of the internal resources you will assign to testing. Finally, estimate the costs of training and implementation. Exit clauses – committing to a 12-month contract is more economical but also more restrictive. What are the exit penalties? Billing – Is it a fixed monthly amount or does it depend on the number of tests? Limitations – does your software put a limit on the monthly volume of visitors, number of sites tested or hours of support? If it does, what are the rates in case of overrun? 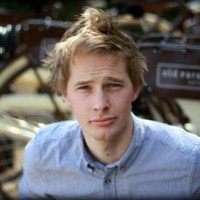 The cost of a monthly subscription to A/B testing tool is often the tip of the iceberg, so consider all costs – over 12 months – to get a good estimate. 10. What other tools will be needed? Do not look for 5-legged sheep. An A/B testing tool is not an analytics platform. If you need a heatmap tool, choose a specialist such as hotjar. If you need to analyze your conversion funnel, Mixpanel is much better than Google Analytics. It is common for an e-commerce site to subscribe to a testing platform that offers overly-advanced (and expensive) features for their needs. Not only does this consume more resources but it also adds confusion to the testing process. A simple and intelligent tool allows teams to focus on their most important goals. If the tool becomes a constraint, people in charge of optimization may spend more time managing technical problems than bringing value to the company. However, with the right tool, your marketing team can begin to make decisions based on live data from real customers. 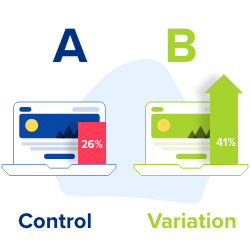 To get started with A/B or split tests, and to make sure everyone on your team knows what they are doing, visit and download our FREE Convertize A/B Testing Guide 2019.